Advisory Board to help shape program and maximize success. WindTalker, Inc. today announced a new Partner Program, formalizing relationships with legal technologists who are significantly invested in helping their clients protect sensitive content and reduce risk to their practice. In addition, WindTalker is pleased to announce Jeff Levine of the Systems Shop has joined the program. To help ensure the success of the new Partner Program, WindTalker announced the formation of an Advisory Board comprised of leading law office technologists from around the country. Mr. Levine will serve as the first member of the Advisory Board, and will help WindTalker develop a program that benefits clients and consultants alike. “We are pleased with the initial response we’ve received for WindTalker’s content security platform and welcome the Systems Shop into our family,” said Doug Martinez, Executive Vice President of WindTalker. “Legal technologists immediately see the value of WindTalker, and while security may be its most important feature, it is not the only important aspect of WindTalker. The ease of use, process efficiency, and cost effectiveness WindTalker delivers results in significant benefits for their clients. We are very excited to work with them to deliver the protection and value their clients truly need." WindTalker’s unique capability to simultaneously classify, encrypt, redact, and track sensitive content in documents, reduces the need to parse and manage multiple documents to protect sensitive information from unauthorized recipients or unauthorized disclosure. By applying protection inside the document, WindTalker can support multi-level classification and provide access to different audiences, which is the definition of “Differential Sharing”, in each document. Once the data is protected, it remains so throughout the document’s entire lifecycle until it is declassified or destroyed. WindTalker is exhibiting at ABA TechShow 2019. Visit Booth 606 to learn more. WindTalker, Inc. developed the groundbreaking WindTalker cloud-based document security platform for legal, healthcare, military/government, and other organizations that depend on confidential information to be securely shared with third parties. WindTalker’s patented technology provides one central place to manage document, data and content security. The company was founded in 2016 and is based in Cummimg, Georgia. 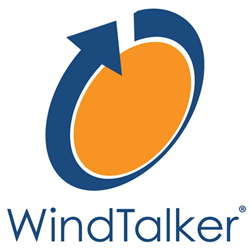 Follow WindTalker on Twitter @WindTalkerInc or LinkedIn.